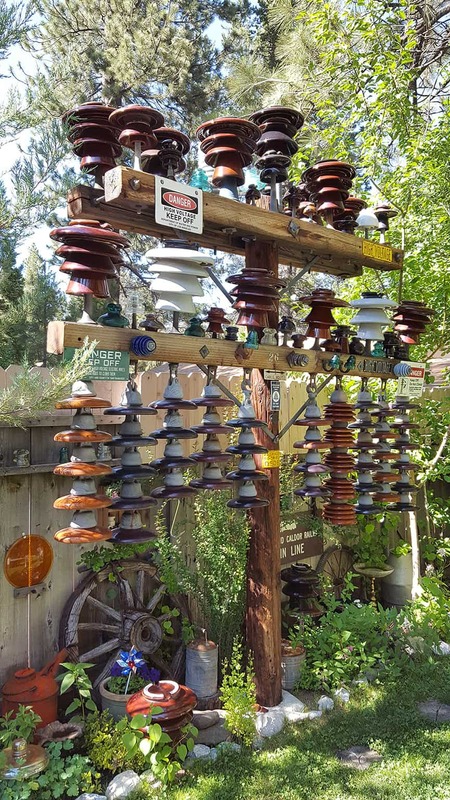 One of many towering, spectacular High Voltage hardware exhibits in the back yard. The gathering was very well attended all day. 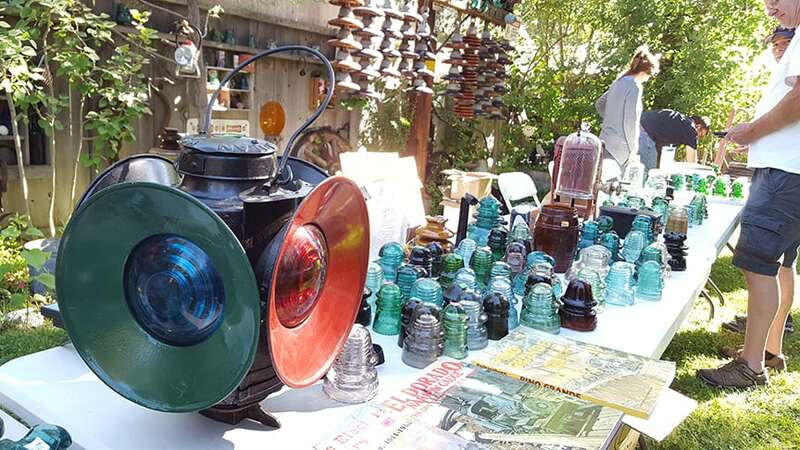 Two long rows of tables held a sparkling assortment of cool collectibles. 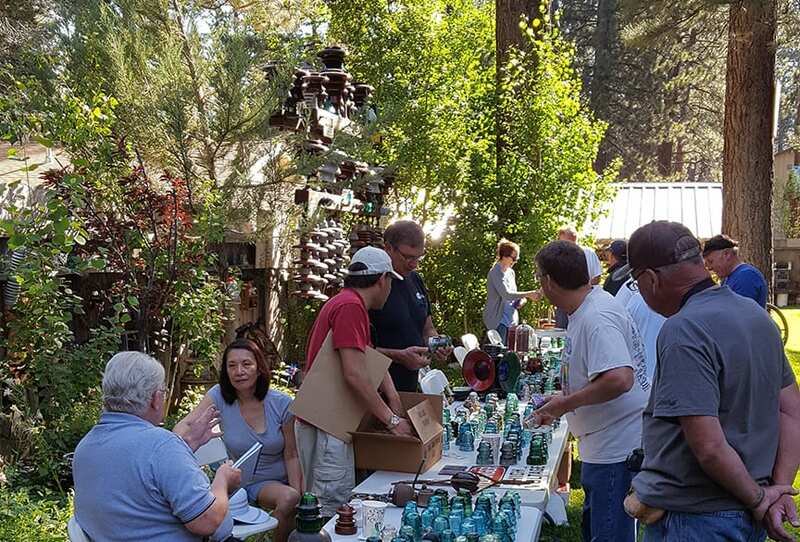 For this event, show goers were treated to fresh, pine scented, morning air, towering trees and sparkling, azure-blue skies in one of the most majestic high country destinations that California has to offer… George & Judy Klingler’s back yard! 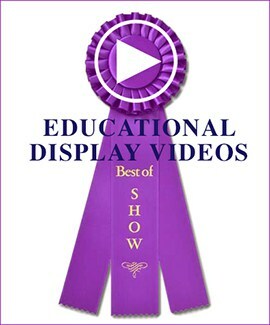 This show was a big hit in its first year and we were all very gratified to see such a great turn-out this year. 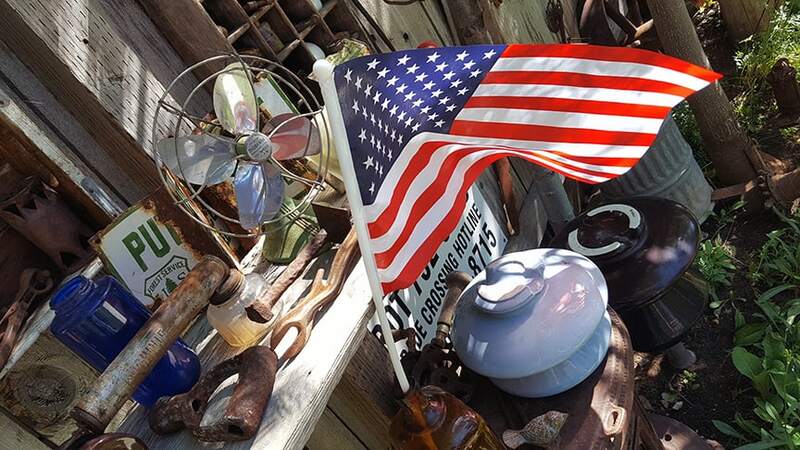 After doing their homework, the Klinglers were able to find a weekend that fit pretty well into the western region show-scape. 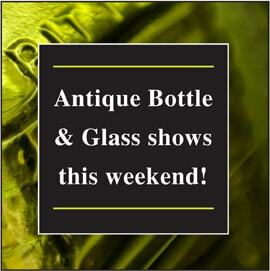 Our gracious and experienced hosts were completely prepared for the early arrival of dealers and collectors. Coffee, fresh fruit and pastries were tastefully presented amongst Judy’s wonderfully arranged, fresh cut flowers in collector jars and vases of all shapes and sizes. My faves were the lavender and golden mixed Iris’ in the battery jar. Gorgeous! When Lou and I arrived in town, after mid-day on Friday, we checked into our nearby rental room which Judy arranged for us, (Thank you, Judy!) and headed over to the Klingler’s to find Mid Norris and a few more hobbyists unloaded and ready to go. We greeted our host and hostess while they were busily working to put the finishing touches on their back yard set-up. The rest of the afternoon was increasingly exciting as more and more of our friends and fellow hobbyists arrived. We saw Dave & Shirley Brown from Exeter, Bill Rohde & Kat McClanahan from Fresno, Steve & Terri Bava from Antioch, Dale & Davila Huber from Colfax, Arnie & Kathy Lowenstein from Hayward, Erich & Joanne Schultz from Alamo, Steve Marsh from Placerville, Bart Magoffin from El Dorado Hills, Gary & Beverly Yarborough from Browns Valley, Robert and Kristine Baumann from Irvine, Larry Shumaker from Rocklin, Matt Leissring, Heather McDonald, Erik Krepper, Krissy Smith, Matt Jones, Don Bimstock, Eddie Goymerac, as well as Eric & Virginia Thelin. 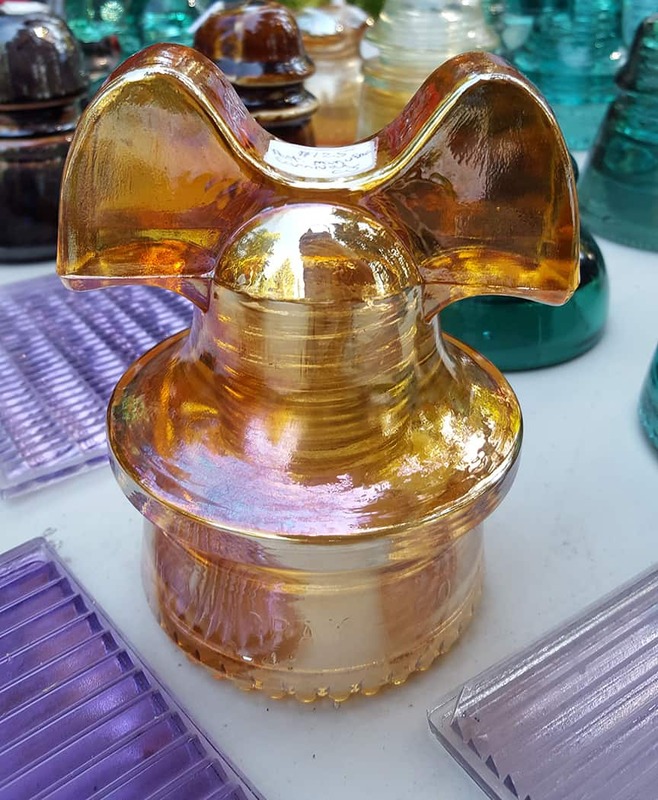 Jeanne and I just returned home from a really great little insulator show. I say little, but it was full of great people, great food, and put on by very gracious hosts. … Their whole backyard is a fascinating museum, shaded by very old, mature trees, and delight to wander around in. Their hospitality can’t be beat. The number of people walking through was continuous all day. Sales were good and the visiting even better. A special THANK YOU to George, Judy, and all that attended! We had a wonderful time at the 2nd annual tailgater … The snow pack was much heavier than normal this year, so some people were skiing at the higher elevation resorts into July while most visitors were enjoying the forest shade or cool temperatures of the lake while the rest of California was roiling in heat. We met up with friends for Friday setup and shared a lasagna meal prepared by George and Judy. 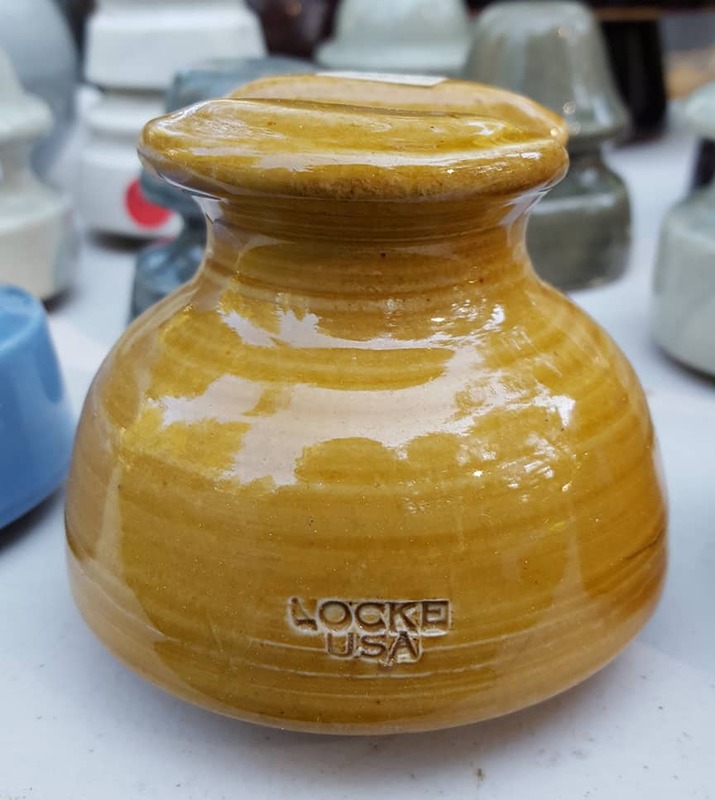 The highlight of the sales setup was seeing an early Fred Locke porcelain power collection acquired by Dave Brown that was collected in the pre-Jack Tod era if that were possible. 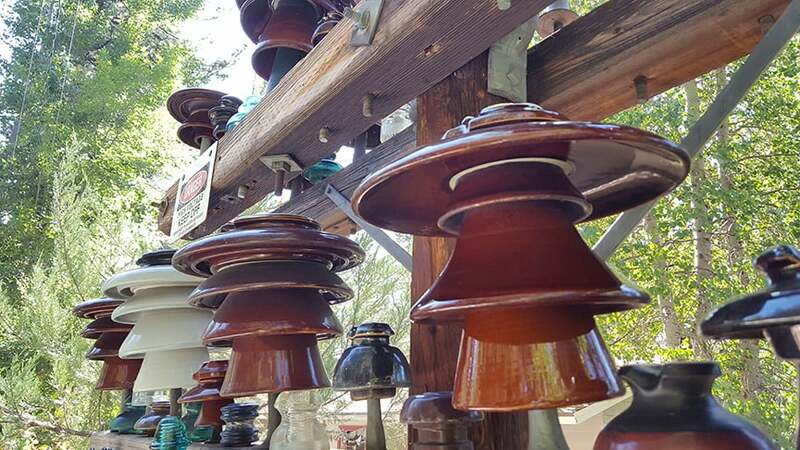 It has been a long, long time since I have seen Bill Rohde purchase multiple insulators and then go back for seconds. 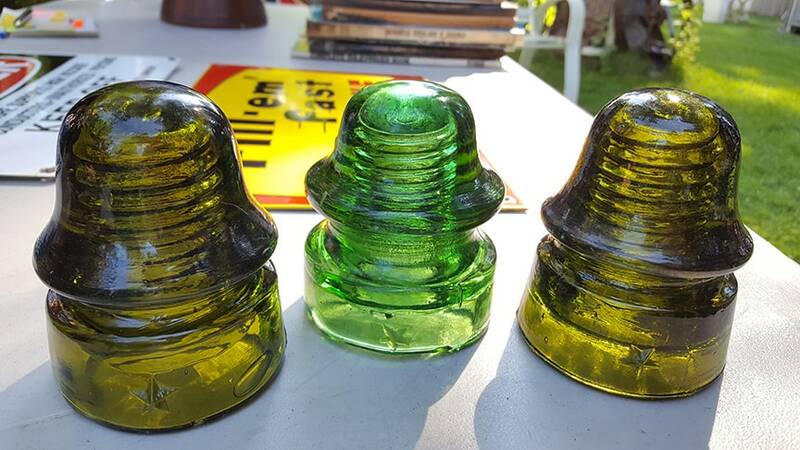 The Saturday show was great with plenty of newer faces at the tailgater that I don’t see at the other shows … A bunch of neighborhood kids stopped by so it was fun introducing them to the hobby with free insulators. Thanks George and Judy!! 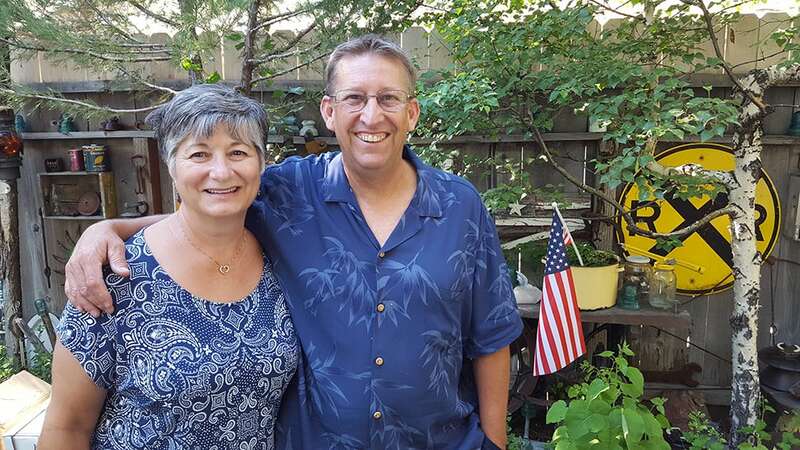 On behalf of the Golden State Insulator Club, I would like to thank George & Judy Klingler for their fantastic hospitality in hosting this year’s Fantastic South Lake Tahoe’s Backyard Tailgater. Very gracious hosts who are great to be around. Thank you for all your hard work. This year’s show was well attended, great Friday evening lasagna for those who showed up early and a wonderful Taco, salads, and desert lunch on Saturday. Always plenty to eat & drink, great glass, and good collector friends. [See Bob’s pictures starting HERE.] Thanks again George & Judy. If you haven’t already come to your own decision about this show then please permit me to gently suggest to you that y’all really should seriously consider adding this exceptional event to your summer show calendar. According to Nathan Lamkey, no northwestern shows are currently scheduled for this weekend in 2018. There are so many shows in the west between Anderson, California in January and Roseville, California in December, that it can be hard to choose which shows to attend. Western shows span half the USA from Seattle, Washington to Yuma, Arizona and all the way east to Colorado Springs. Lou and I try to mix it up from year to year and we often drive 1000 miles just to say Hi! 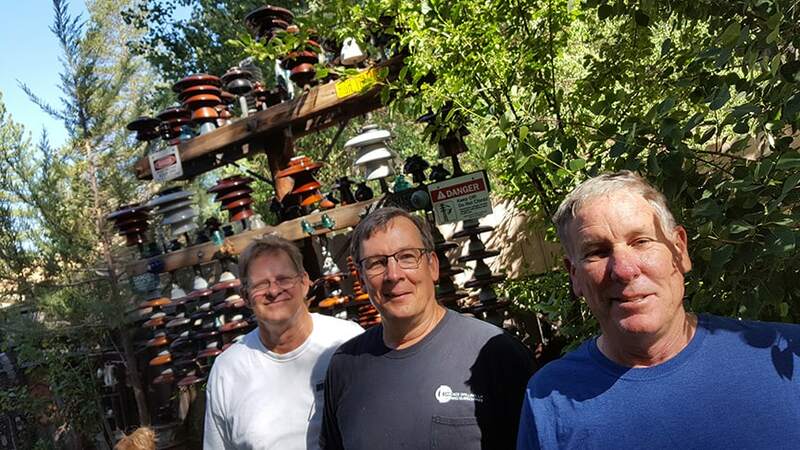 Whether it’s Ron & Peggy Yuhas’ Big Sky show in Helena, Montana or Mike Gay’s Enchantment Insulator Club get together in Albuquerque, New Mexico, there is always something happening across our great hobby in the western region. 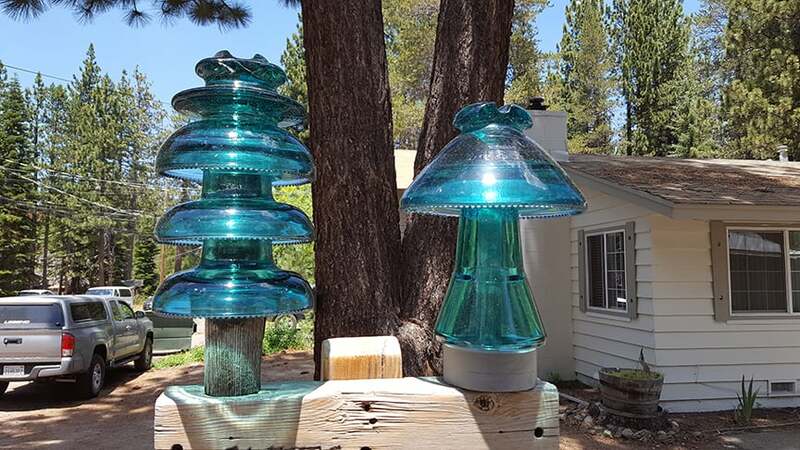 The South Lake Tahoe Backyard Show & Sale is a ‘Bring Your Own Table’ (BYOT) show with all of the best that top-tier western region shows have to offer. 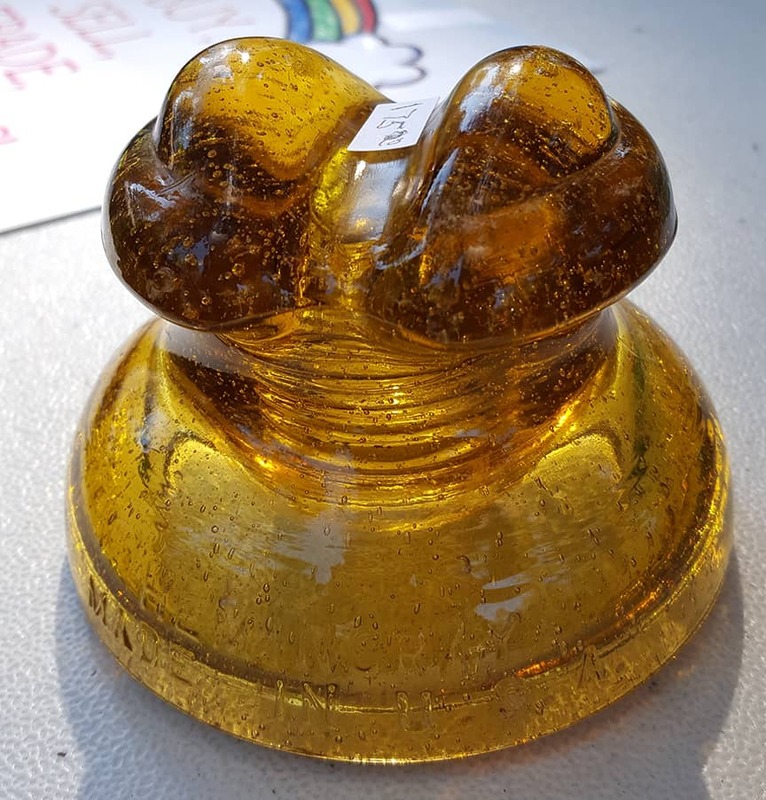 Please contact George and Judy using judyklingler@charter.net for the most up to date information about their Etsy.Com marketplace and their next Insulator Collecting Hobby event. 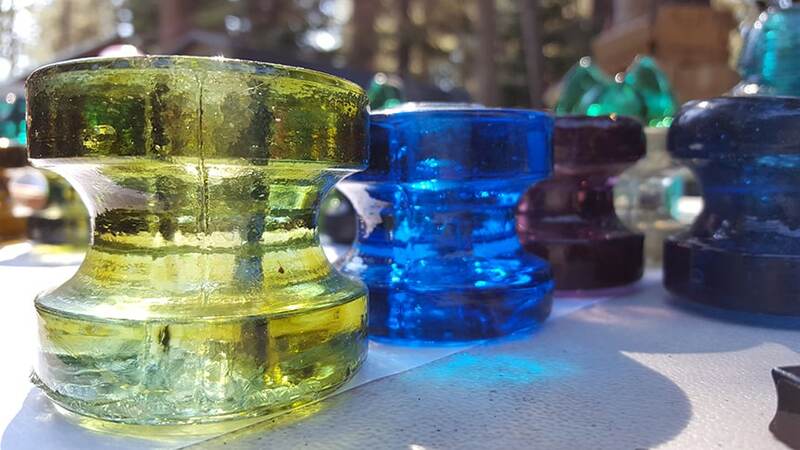 All you thread-heads, Listen Up: Getcher glass and mud traders into a good, sturdy box. 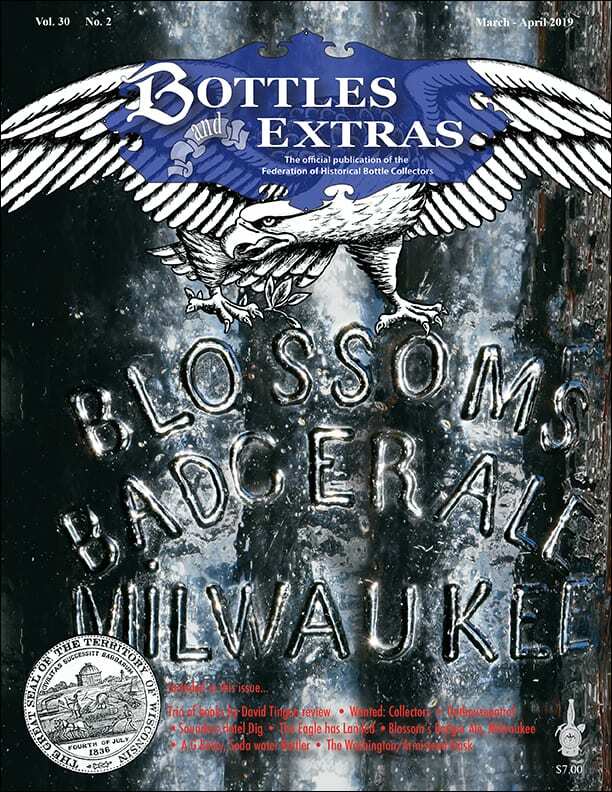 Getcher swap lists and price guides updated. 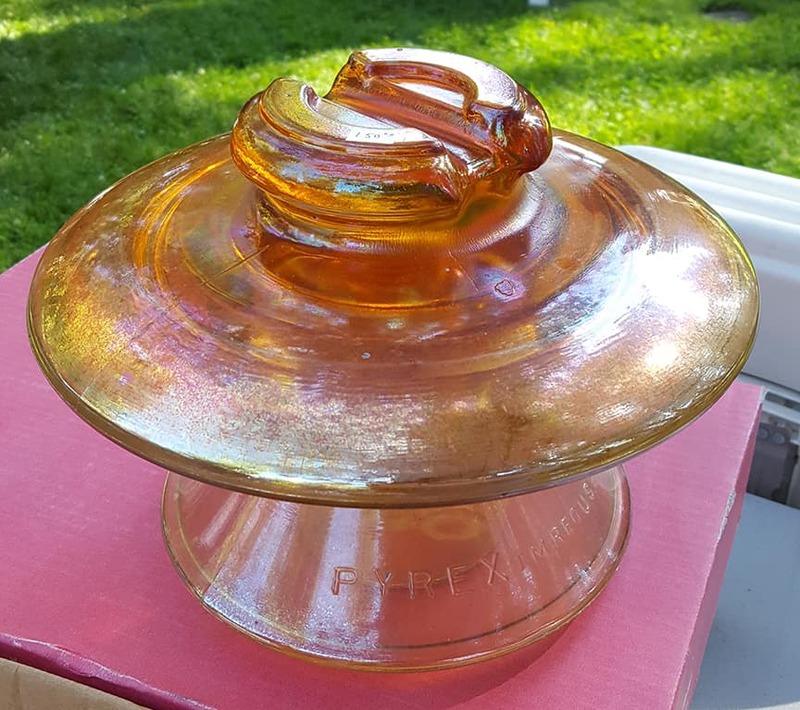 Flip open yer Crown Jewels and Drip Points to Coming Events and click on http://www.insulators.info/shows/ for details of the next swap meet or tailgater in your area. 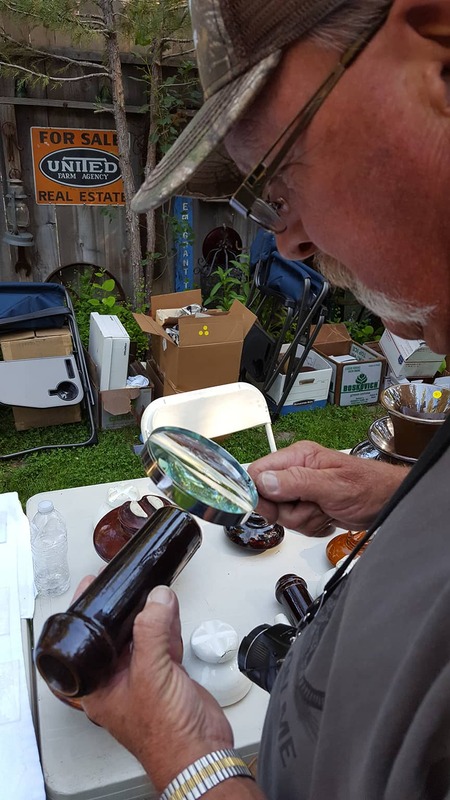 Dig that dusty wad of cash out-o-the Fred Locke pinhole and get all yer friends together for an insulator road trip because….. IT’S SHOWTIME! The whole back yard was very tastefully and patriotically decorated. 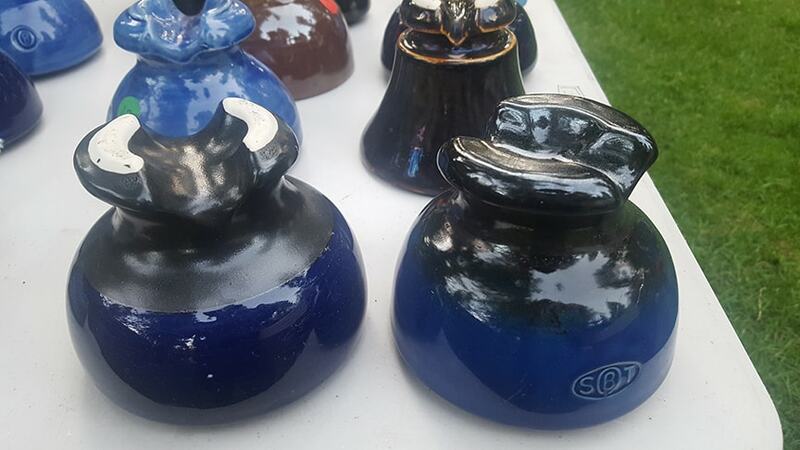 Cobalt blue and radio treated was an Ohio Brass trademark look in the 1930s and 40s. Butterscotch glazed LOCKE styles are very popular among collectors. 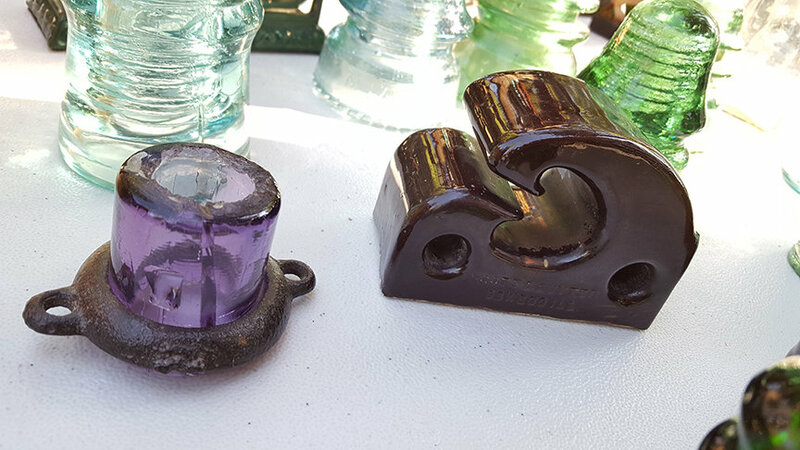 Railroad equipment is a very popular class of alternative collectible at insulator shows. 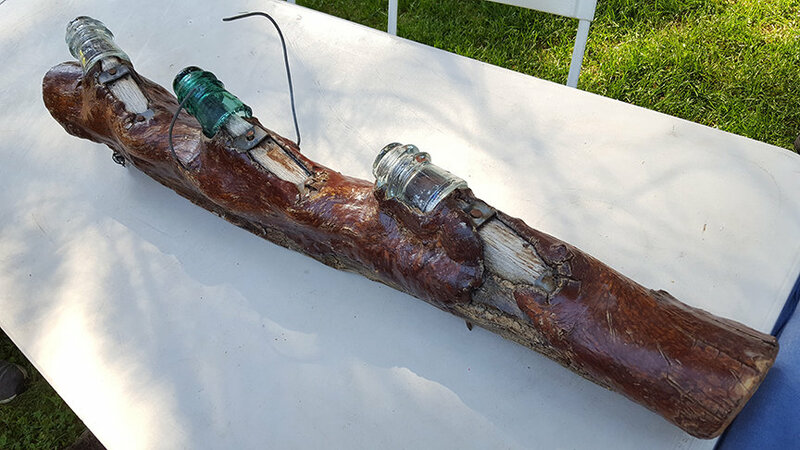 An amethyst lightning rod insulator and a Cutter tree insulator make quite an odd pair indeed. 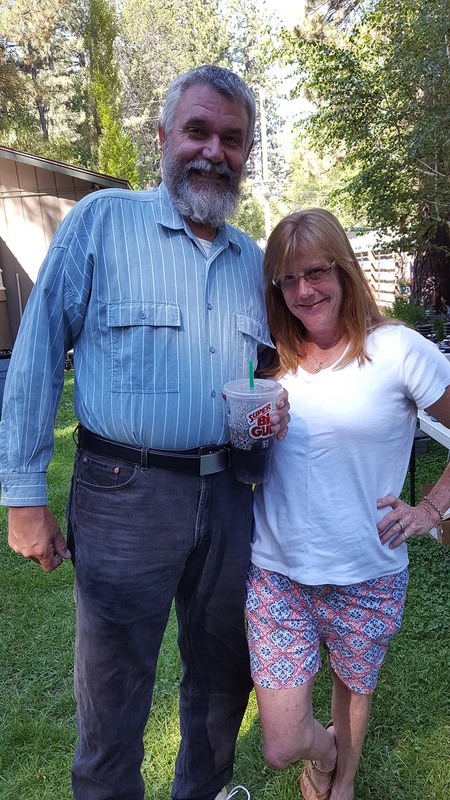 Bill Rohde and Kathleen McClanahan, Fresno, California. 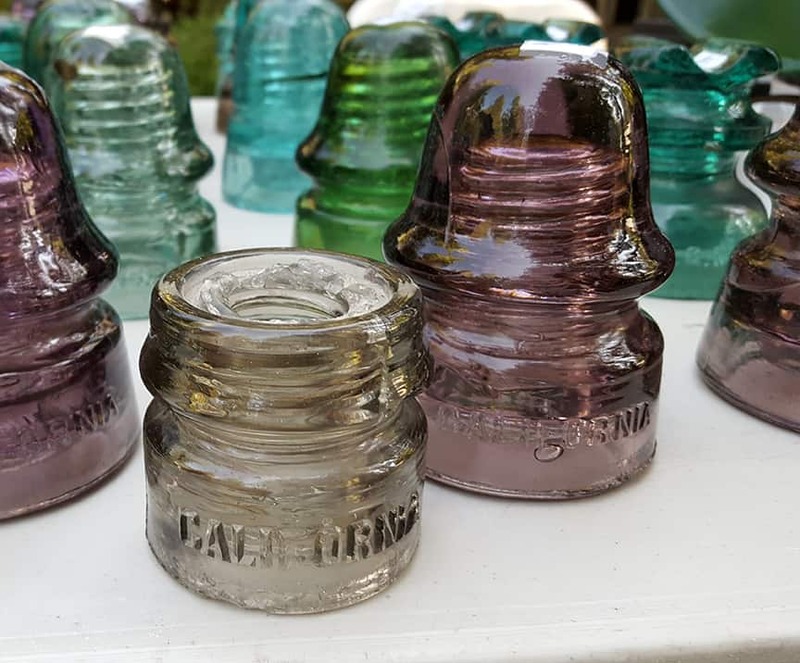 National Insulator Association commemoratives are quite collectible on their own! This ‘Veneziano style’ carnivalized Mickey Mouse is an incredibly popular altered style in today’s market. Mid Norris appears to be very interested in the faint embossing on this wall tube. 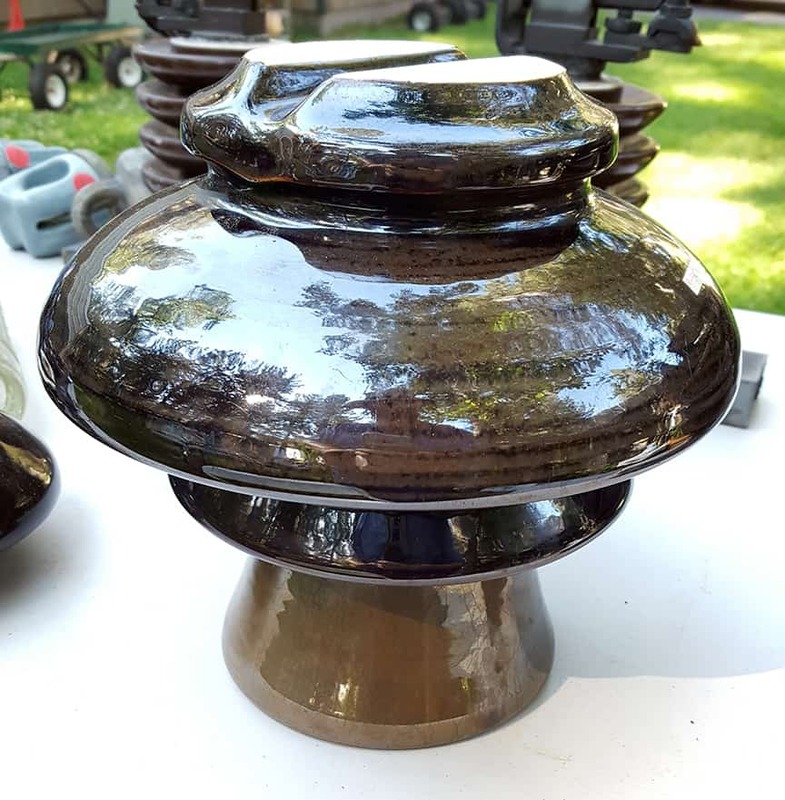 There were amazing glazes on Thomas, and Westinghouse and Pinco insulators of the mid-century period. 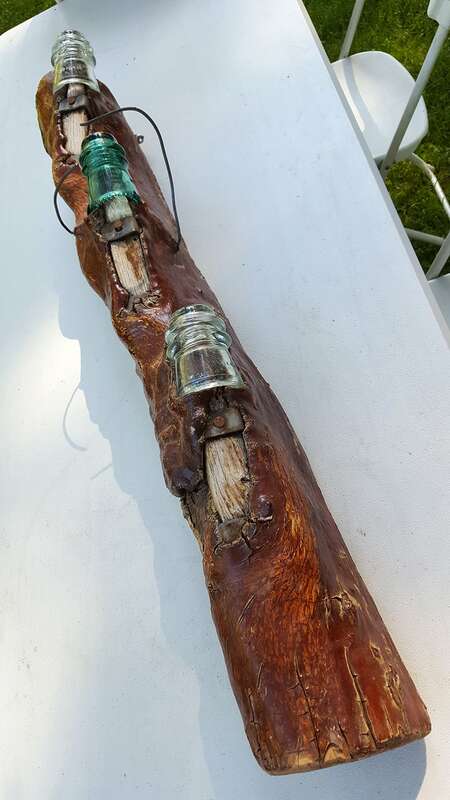 A spectacular piece of Madrone. Another look at the cool Madrone branch. My favorite picture from that day included (from left) Bart Magoffin, Dale Huber and Steve Marsh. Olives and Greens are too cool. These three Stars stole the sunlight! California purples come in many shapes, shades and hues. I love these big, High Voltage, Pyrex carnival styles. The smaller ‘Frog Eyes’ Lowex style from Hemingray is always a jewel when it’s full of bubbles. 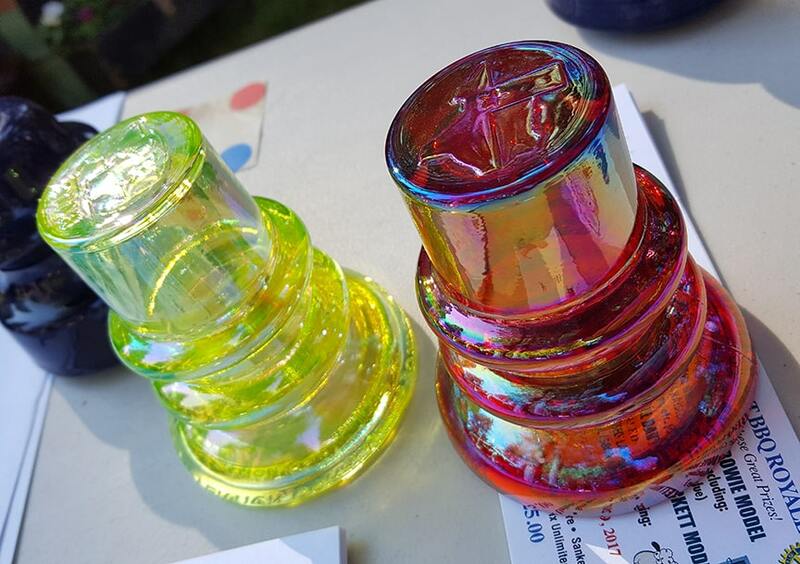 One of Larry Shumaker’s unembossed Zicme spools for sale in the set. 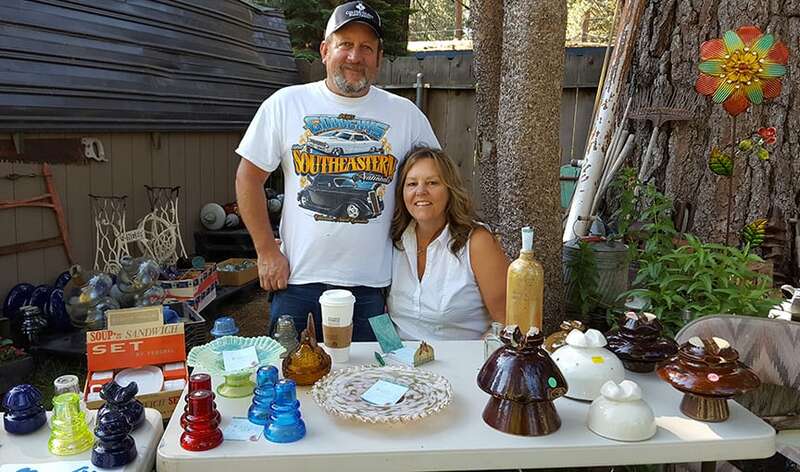 Gary and Beverly Yarborough from Browns Valley, California. 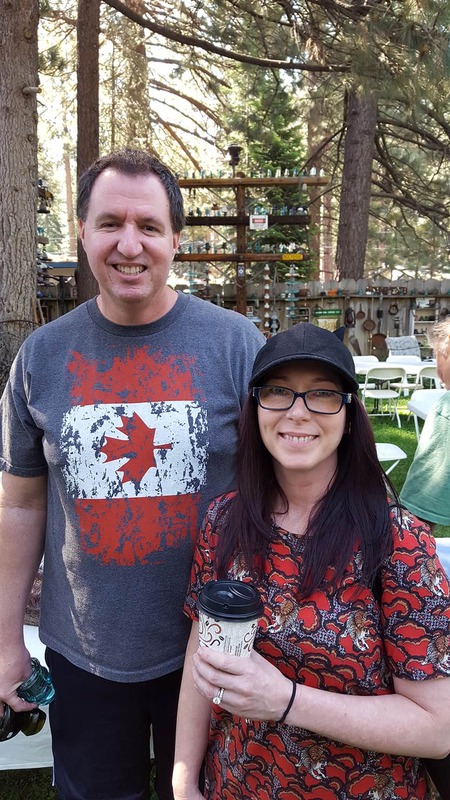 Rob and Kristine Baumann from Irvine, California. 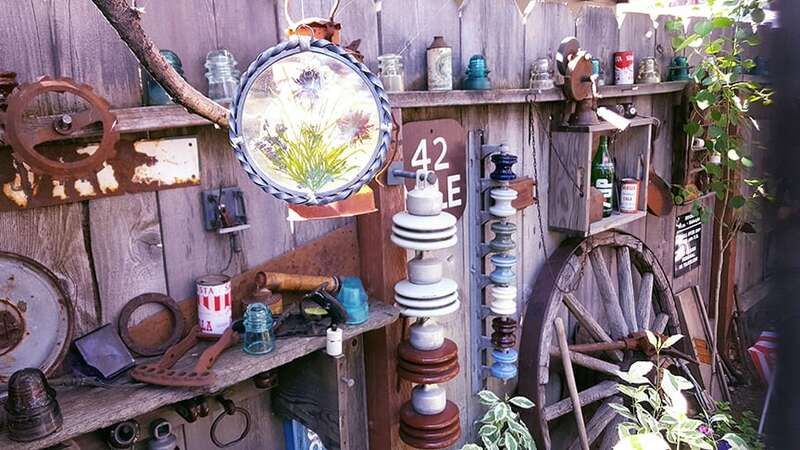 The entire yard was wonderfully decorated in an eclectic and rustic primitive style. 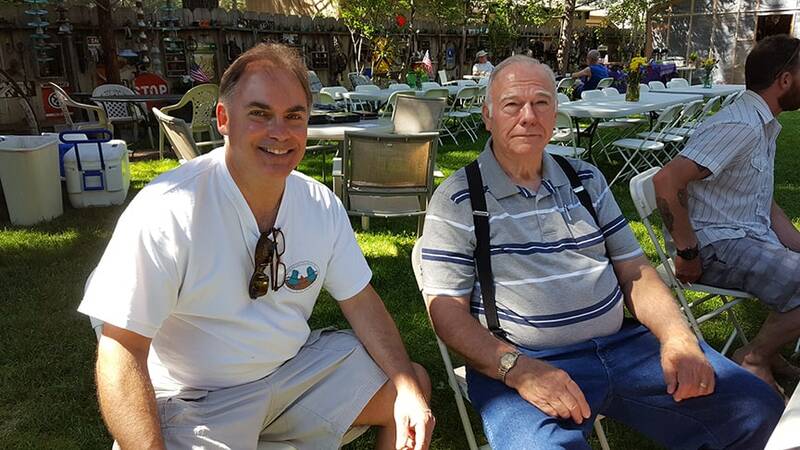 Arnie Lowenstein (lef), Hayward, California and Larry Shumaker, Rocklin, California. Two Montana Power classics can still be seen in service in remote areas. The Hemingray Stacker (left) and the Coolie Hat. 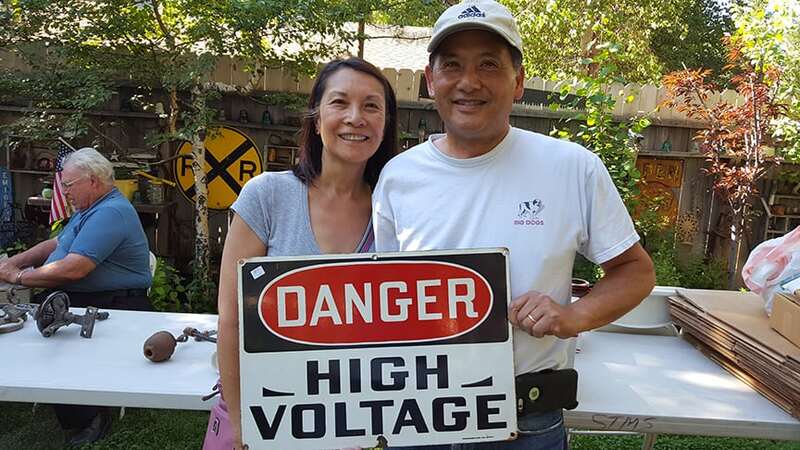 May and Colin Jung from Sunnyvale, California with Fresno’ California’s Lou Hall in the background. Shirley and David Brown, Exeter, California. View of the inner skirt detail of a very large, very heavy, High Voltage, porcelain insulator. 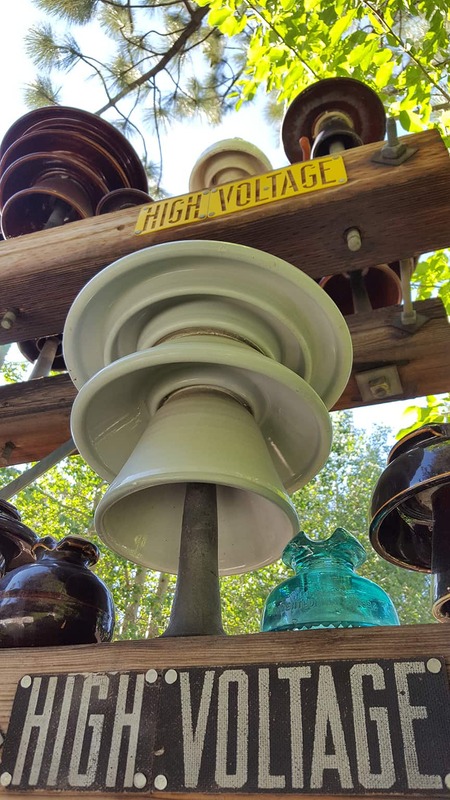 Beautiful, early and mid-1900, vintage porcelain insulators were on exhibit everywhere I looked. 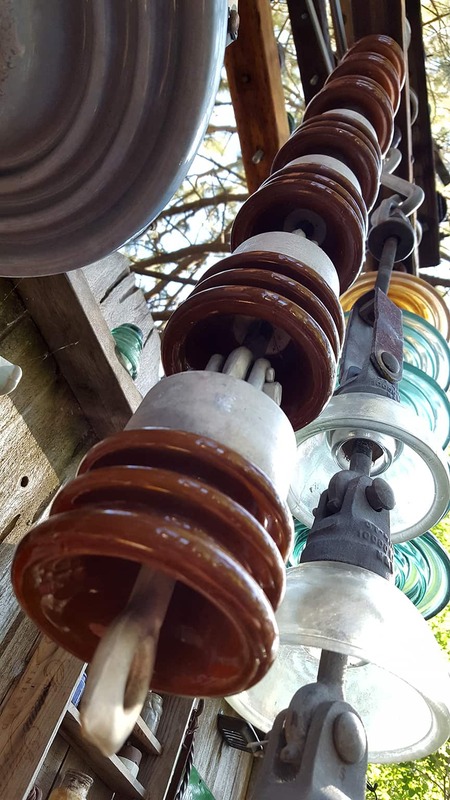 Wonderfully colorful strings of strain insulators can be seen hanging around like Tibetan temple bells all over the yard.